Ken Flores joined the Fairmont Waterfront as General Manager in 2016. Ken graduated from the University of British Columbia with a Bachelor of Science in Forestry and Natural Resource and joined Fairmont Hotels & Resorts in 1997. He has held a number of progressive roles across key cities in North America with his most recent positing as General Manager at Fairmont Vancouver Airport. 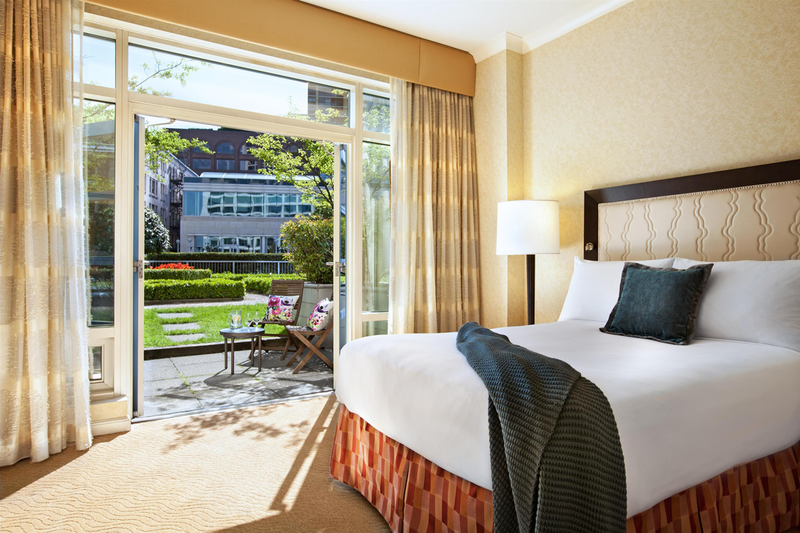 Fairmont Waterfront is positioned as Vancouver’s premiere waterfront luxury hotel and the gateway to exploration for our guests. 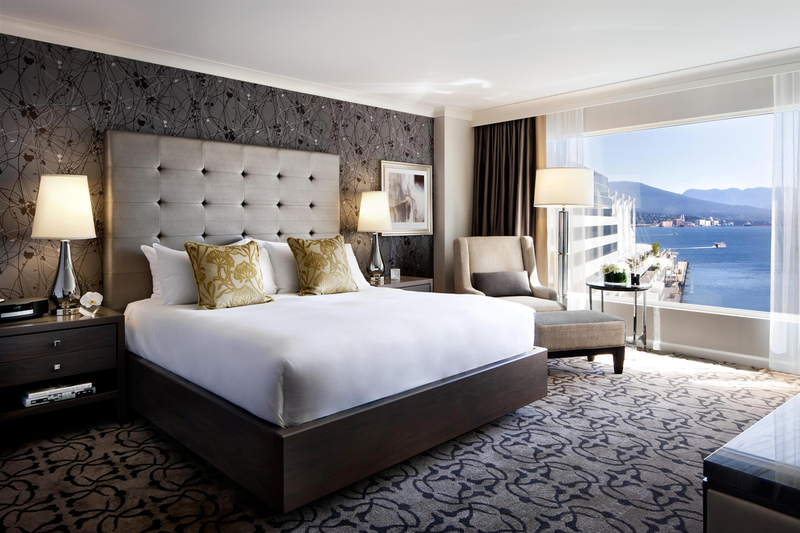 Nestled on Vancouver’s harbour and offering stunning water-views of Stanley Park, coastal mountains and sparkling city skyline, Fairmont Waterfront truly embodies relaxed West Coast luxury. 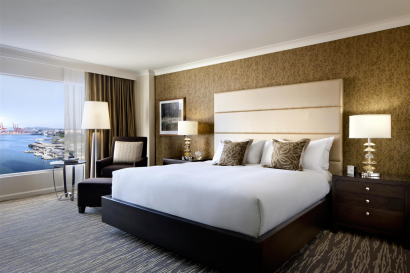 This 4 Diamond urban retreat features spacious guestrooms and suites including the exclusive concierge level, Fairmont Gold. 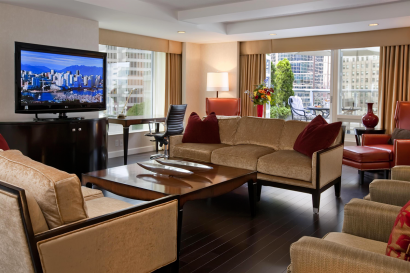 The convenient central location puts guests steps from the Canada Place Cruise Ship Terminal and the best attractions the city has to offer. Relax pool side, explore the hotel’s unique rooftop herb garden and honeybee apiary and dine in ARC to sample local and seasonally inspired cuisine. Fairmont Waterfront recently completed a twenty million dollar guestroom and health club renovation. This ambitious project undertaken by B + H CHIL Design, renowned for contemporary elegance and classic detailing, created a sophisticated and upscale West Coast design that subtly embraces the hotel’s enviable waterfront location. 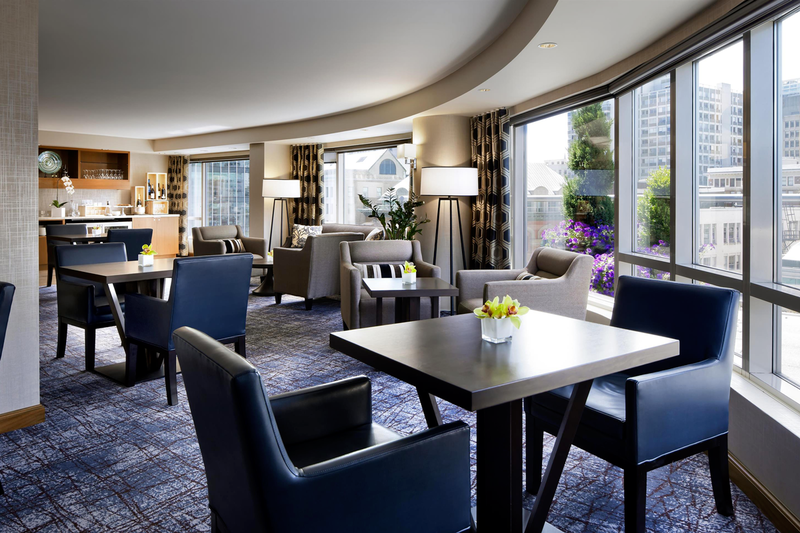 Fairmont Waterfront provides a truly authentic Pacific Northwest experience with unparalleled views from floor to ceiling windows; approximately 70% of guest rooms overlook the stunning harbour and North Shore Mountains. Also, the hotel’s enviable waterfront location offers a central starting point to explore the city. Located in downtown Vancouver and along the city’s dynamic harbourfront, the Fairmont Waterfront’s convenient location is hard to beat. Fairmont Waterfront is centrally located and connected to the Canada Place Cruise Ship Terminal. The hotel is connected to the Seawall footpath and for those that prefer to cycle, complimentary hotel bikes available. Also within close proximity are Stanley Park, historic Gastown, and Robson Street shopping including Pacific Centre Mall. 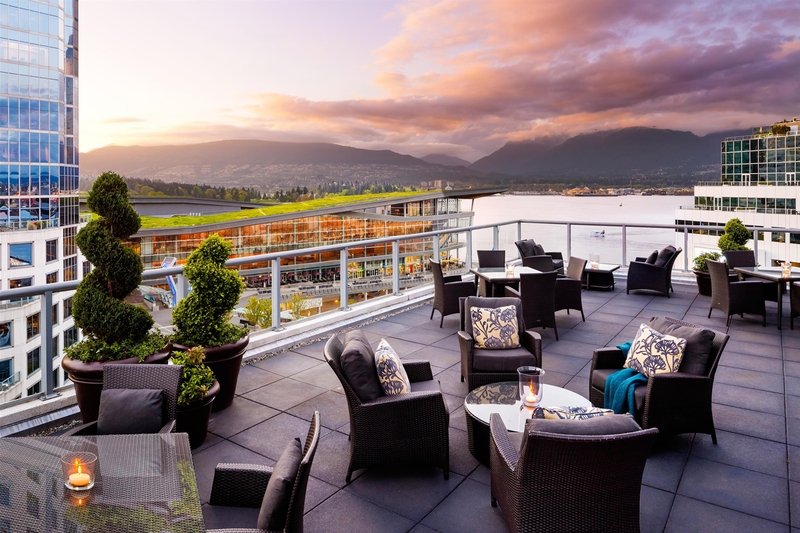 Guests are invited to join daily bee tours of the Fairmont Waterfront’s rooftop garden and apiary. Granville Island Market and North Shore attractions including Capilano Suspension Bridge and Grouse Mountain are just minutes away. Fairmont Waterfront offers complimentary luggage transfers to the Canada Place Cruise Ship Terminal. Travel in a Fairmont branded helicopter! Helijet is a key partner of the hotel and guests wanting to experience an aerial tour or a visit to Victoria are invited to enjoy preferred rates. The hotel’s rooftop garden is a certified wildlife habitat as recognized by the Canadian Wildlife Federation. There is a rooftop honeybee apiary with a 250,000 honeybees that produce more than 600lbs of honey annually. A Bee Butler offers guided tours daily and to quench your thirst, guests can order a honey lager produced with the hotel’s rooftop honey. Fairmont Waterfront prides itself on sustainability; it is a zero-waste hotel and has a BMW i3 electric house car. As part of the Fairmont Waterfront’s partnership with the Canadian Wildlife Federation, children are invited to borrow a special curated backpack full of activities to explore Vancouver’s waterfront including Stanley Park. – Fairmont Waterfront offers a selection of 21 suites ranging in size from 500 sqft to 2,000 sqft. 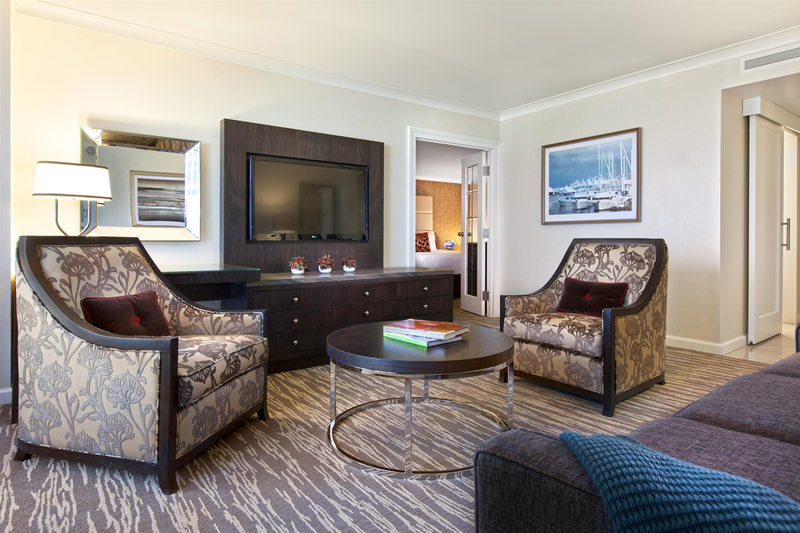 These spacious suites are designed with comfort in mind and offer floor to ceiling picture windows to take advantage of the hotel’s spectacular water views. 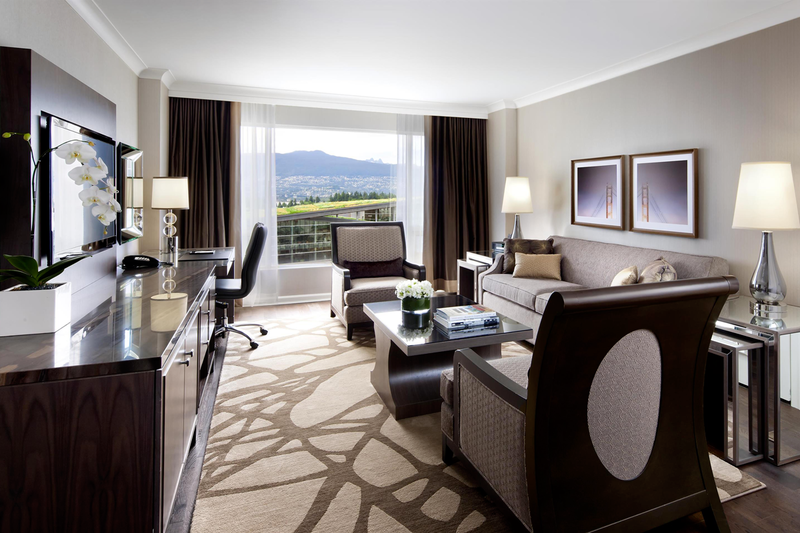 – Experience the exclusivity of Fairmont Gold. This concierge floor is designed as a hotel within a hotel and affords guests exclusive privileges. 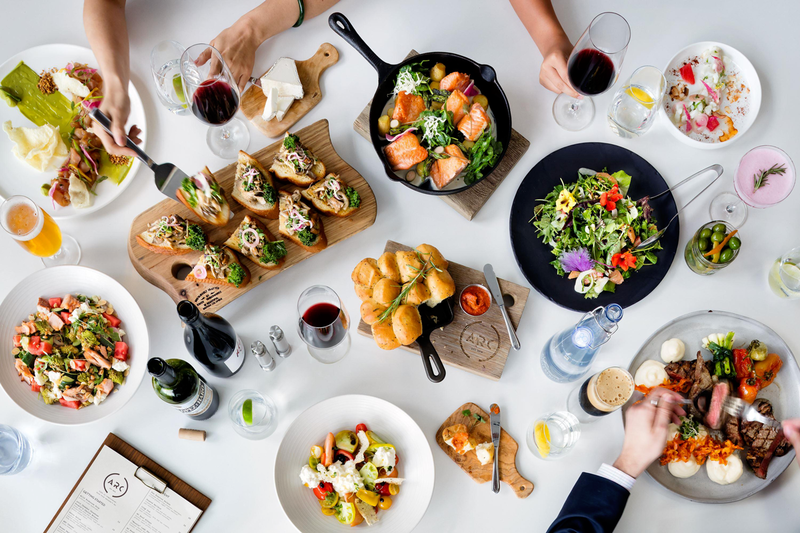 Ideal for those that prefer a boutique experience, guests are invited to enjoy a private lounge and spectacular harbour‐view patio along with a deluxe European breakfast, afternoon tea, locally themed evening canapés and more. The personalized touch of a uniquely skilled private concierge team will ensure a truly memorable stay. 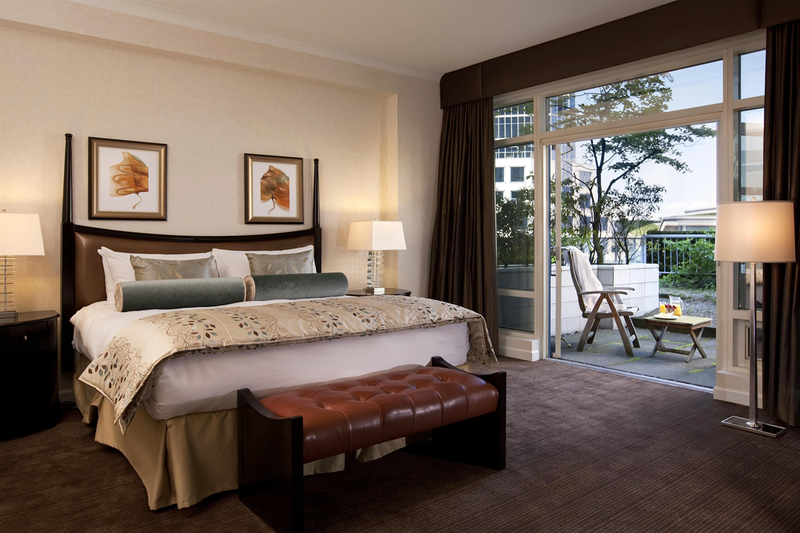 – 489 guest rooms offer 1 King, 2 Double Beds or 1 Queen Bed. 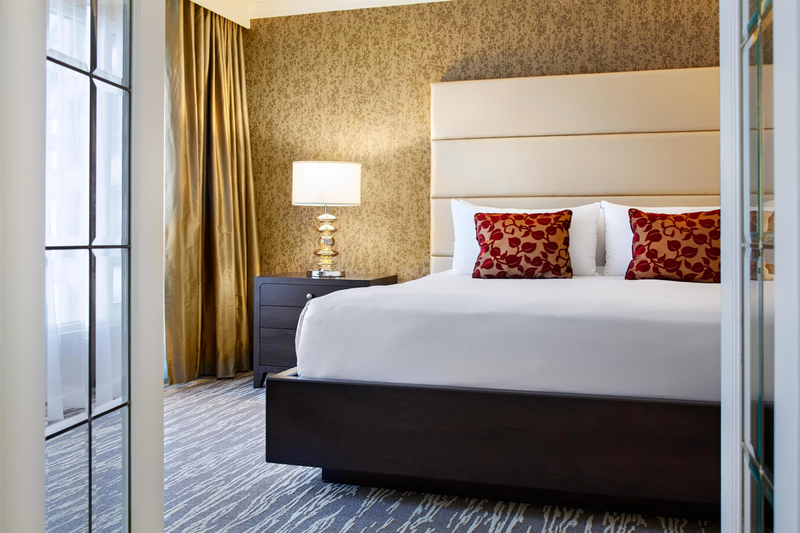 Select guestrooms connect. – Guestrooms feature a relaxed west coast feel with floor-to-ceiling windows overlooking sweeping harbour and mountain vistas or the city’s shimmering skyline and rooftop herb garden. – Rooms include: 47” HD televisions, wireless internet access, Sealy Posturepedic pillow-top beds, in-room safe, 24 hour In Room Dining, personal Keurig coffee system and tea and Le Labo bath amenities. – Rooms are most distinguished by view. 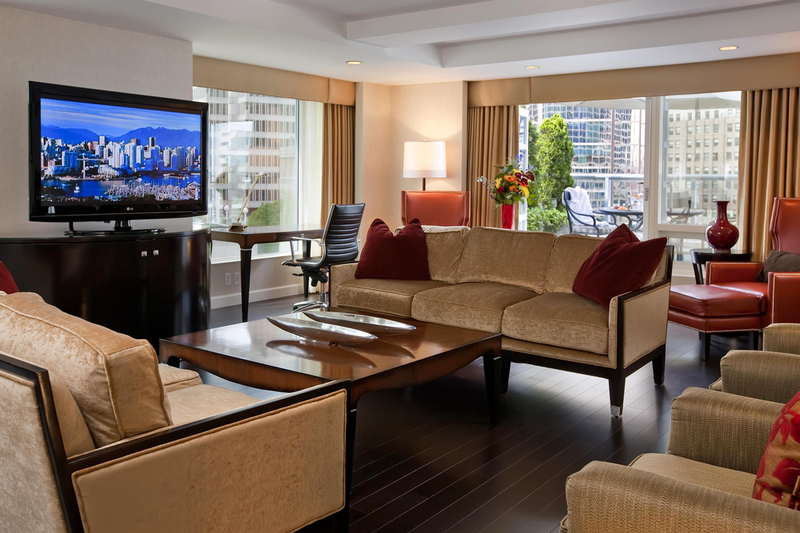 o An entry level city view room overlooks Vancouver’s skyline and the hotel’s 2,100 sqft herb garden. Signature Harbour View rooms offer premium water‐views and also overlook the spectacular North Shore Mountains, Coal Harbour or Stanley Park. ARC – Simple, fresh, local and handcrafted. ARC Restaurant offers the perfect West Coast Setting to enjoy urban artisan food created by Executive Chef Karan Suri. Under the West Coast sun, the hotel grows over twenty varieties of herbs, vegetables, fruits and edible blossoms organically. From the hotel’s rooftop, to your fork, enjoy this fresh bounty in Chef’s culinary masterpieces. ARC Bar is a uniquely curved space that offers a sensational bar which is the vibrant hub for meeting old friends and new. Check out the chalk board for Chef’s picks, pair them with local craft beers, world-class wines and cocktails mixed to perfection. 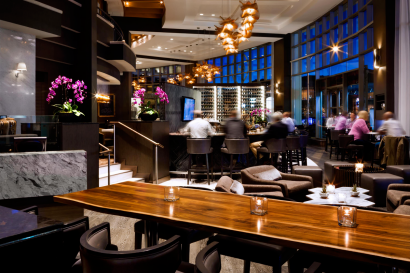 Live music is featured nightly from 5-9pm. The hotel’s state-of-the-art Health Club is open 24 hours and offers a wide range of fitness equipment, as well as an outdoor heated pool overlooking the harbour and mountains. When it’s time to relax, soothe your muscles with a massage, take a dip in our whirlpool, or relax in our eucalyptus steam room. Also be sure to check out our custom running routes on the RunGo App – everything from a 5km along the Seawall to a 20km adventure on the North Shore! Fairmont Waterfront is all about celebrating community, comfort and style. The hotel offers 24,000 sqft of elegant event space, custom menus, picturesque surroundings, and carefully appointed touches. • The hotel has a 2,100sqft rooftop garden and honeybee apiary (with more a quarter of a million bees that produce 600lbs of honey annually). Daily tours are conducted by the hotel’s very own Bee Butler. •Complimentary BMW bicycles are available for guests to explore and guided morning runs along the Stanley Park Seawall are also offered. • The hotel has BMW house cars available for local transfers in the city.